Highlights of Crewe against Gillingham from the Sky Bet League 1. 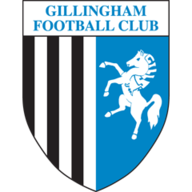 Rory Donnelly's stoppage-time strike secured a 1-0 win for Gillingham at bottom club Crewe to take Justin Edinburgh's team to the top of the League One table. 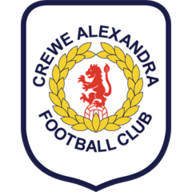 Crewe belied their lowly status as they took the game to the Gills in the first half. Brad Inman, who had an early goal chalked off for handling, was a real pest to the visiting defence. And his determination just before the break should have seen the Railwaymen ahead. After wrestling his way past two challenges, the attacker's fierce shot was spilled by keeper Stuart Nelson, but Adam King skied the rebound over the bar. Gillingham were rather subdued in the first half when they lost striker Luke Norris to injury. Defender Jon Egan went closest when his thumping drive from the edge of the box was turned away by Ben Garratt. But after the restart they were a different force and they controlled the game, only to be let down by the finishing of Norris' replacement, Cody McDonald. After forcing a save out of Garratt from close quarters, McDonald drove the rebound onto the far post. And the striker should have applied a finish to Bradley Dack's cross at the far post, but failed to get his head onto the ball. But just as it looked as the Gills would have to settle for a point, Donnelly cut in from the left and curled a shot in off the far post.